Though the Australian Bureau of Meteorology along with other global weather forecasting agencies have predicted a 60-70 per cent chance of El Nino this year, state-run India Meteorological Department (IMD) said its study of global models shows that there is little chance of a ‘strong’ El Nino in 2019. 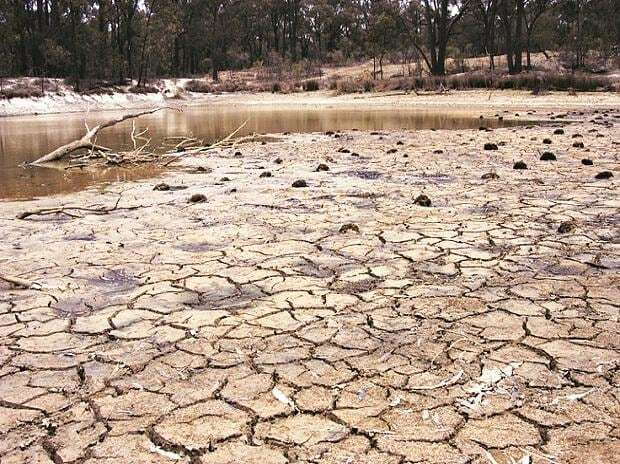 In fact, the IMD said though El Nino has moved from ‘neutral’ to ‘moderate’ in the last few weeks, it is expected to stay at these levels during the pre-monsoon months of April, May and June. 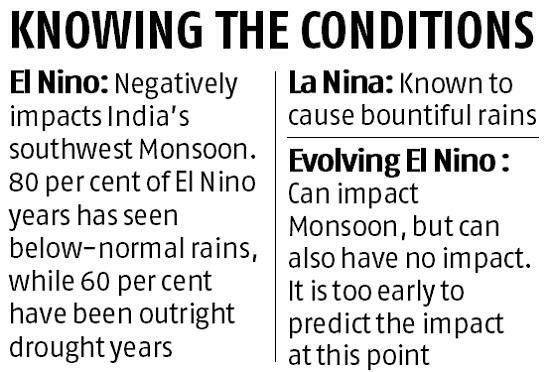 A strong El Nino could have an adverse impact on India’s southwest monsoon that starts from June as almost 80 per cent of El Nino years have seen ‘below normal’ rains. “A moderate El Nino is classified when the sea surface warms between 0.5-0.8 degrees centigrade. But, so far, the temperatures have crossed the 0.5-degree threshold but haven't breached the 0.8-degree barrier, which indicates that it is an evolving El Nino situation and there is little possibility of any strong El Nino developing. Therefore, to say that what impact it will have on India's monsoon in 2019 is still unclear, but one thing is sure: No model is indicating a strong El Nino this year,” IMD director-general K J Ramesh told Business Standard. The El Nino is defined as an increase of Eastern Tropical Pacific’s sea surface temperature (SST) by 0.5 degree centigrade from the long-term average while its reverse La Nina is defined as a decrease of SST over the same area by -0.5-degree C from the long-term average. Ramesh said the weather office is studying all the models – global as well as local – for the next few days and based on their assessment, it will come out with the first forecast of southwest monsoon 2019 by the middle of April. “When El Nino itself hasn’t stabilised so far, how can we predict its impact on southwest monsoon?” Ramesh said. He said the ‘Spring Predictability Barrier’ for Indian monsoon has also not got over. Hence, it is all the more difficult to make a firm forecast. But, among other factors, the Indian Ocean Dipole (IOD), which also impacts Indian monsoon, has turned positive after remaining neutral for several months. This could have an adverse impact on the monsoon. A good southwest monsoon is crucial for India’s agriculture and also the general economy as less than half of the country’s farmland is irrigated. The June to September southwest monsoon contributes more than 70 per cent of the country’s annual precipitation. Last week, private weather forecasting agency, Skymet, said in a report that El Nino probabilities have strengthened manifold and the latest model output has now increased considerably to 80 per cent through March and May. “We can see a decline thereafter but a gradual one and by June and July, i.e. through core monsoon months, the probabilities would still remain as high as 60 per cent,” Skymet said. In February, Skymet had said the southwest monsoon in 2019 has more than 50 per cent chance of being ‘normal.’ The forecast will be updated in April after more details pour in and the current prediction is based on weather patterns available till January end, Skymet Managing Director Jatin Singh had told reporters. The overall national forecast has little consequence on the final agriculture harvest as much depends on timeliness, spread and distribution of the southwest monsoon over the critical rainfed regions of the country. The IMD is expected to release its first forecast in April.